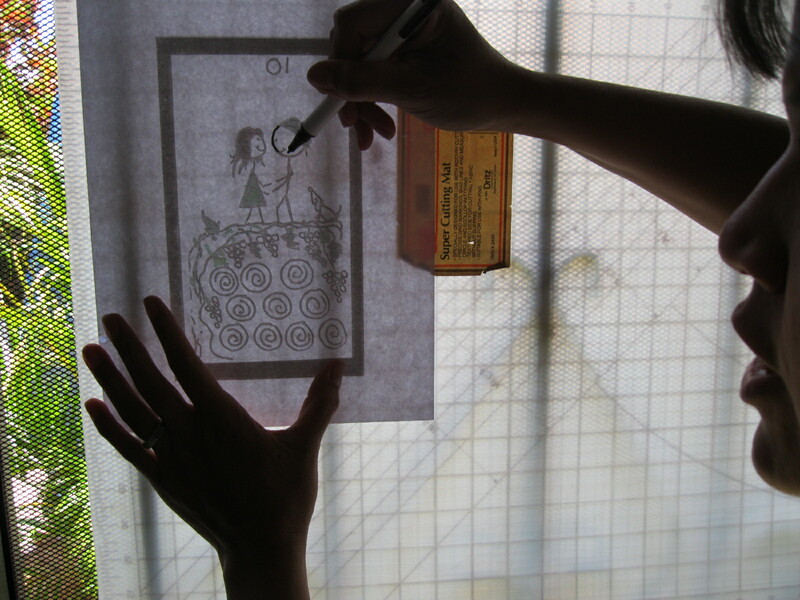 Here is another tutorial about creating Iron On Transfers. 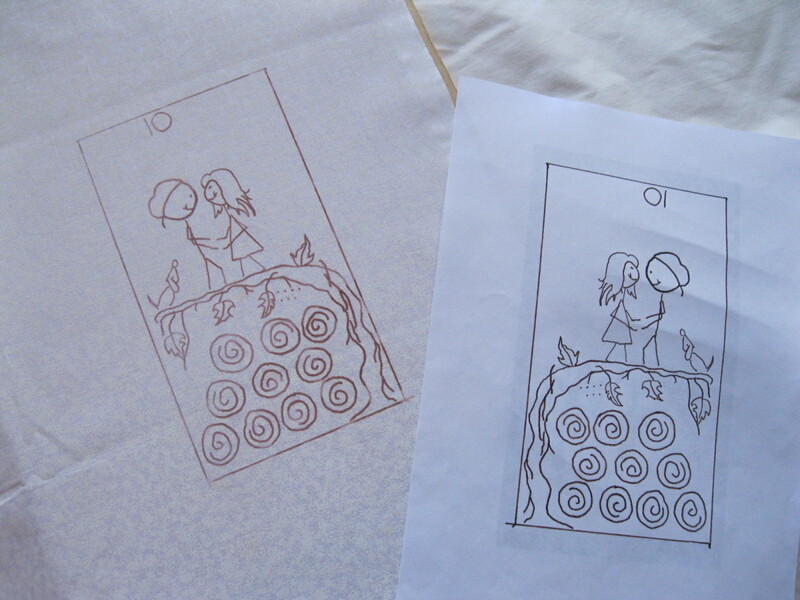 This is how I have created hot iron transfers with the Sulky Hot Iron Transfer Pen. 1. Have a pattern image. 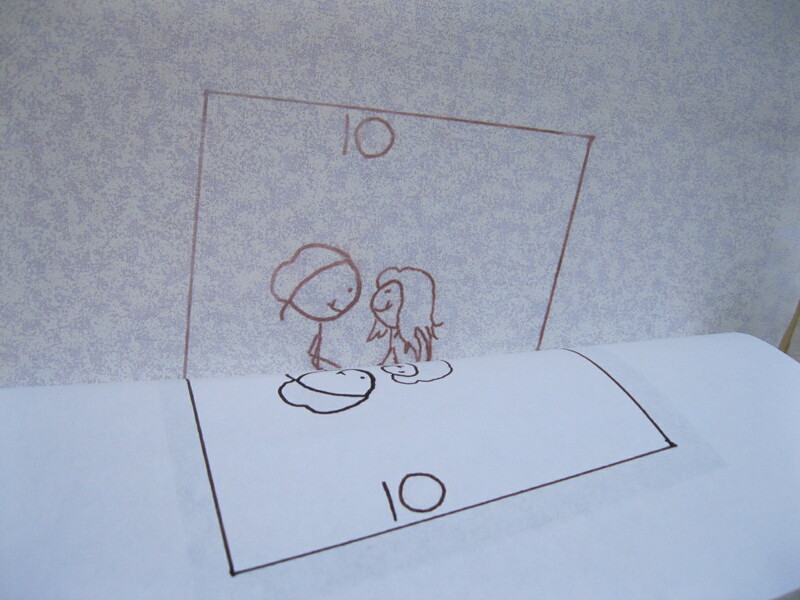 Copy the image onto plain printing paper. You can even enlarge or reduce the image size! 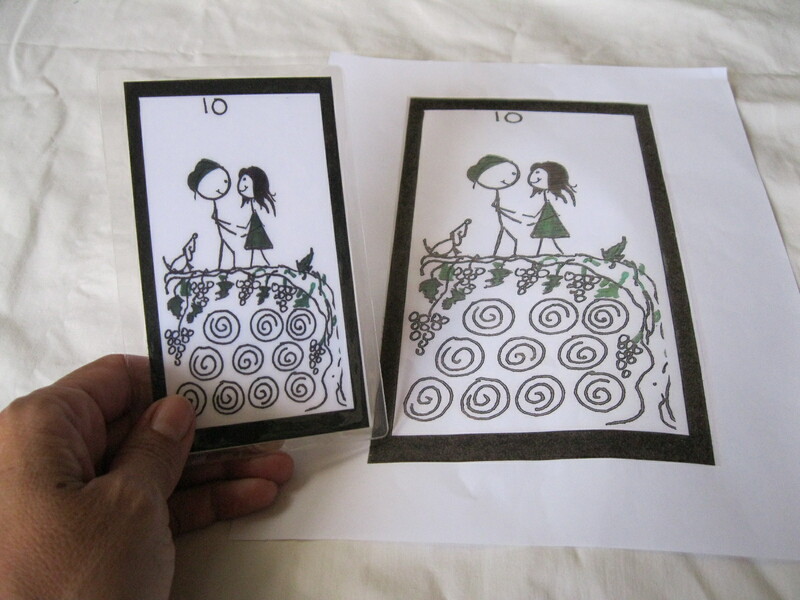 For this project, I want to create an embroidery panel for a purse using a card that my husband created. 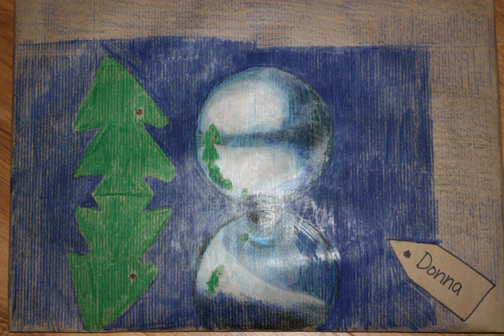 He made a deck for me a few years back and this card is one of my favorites. It shows both of us and our little Jack Russell Terrier, Mr. MacKenzie. I copied the card image with my computer printer. 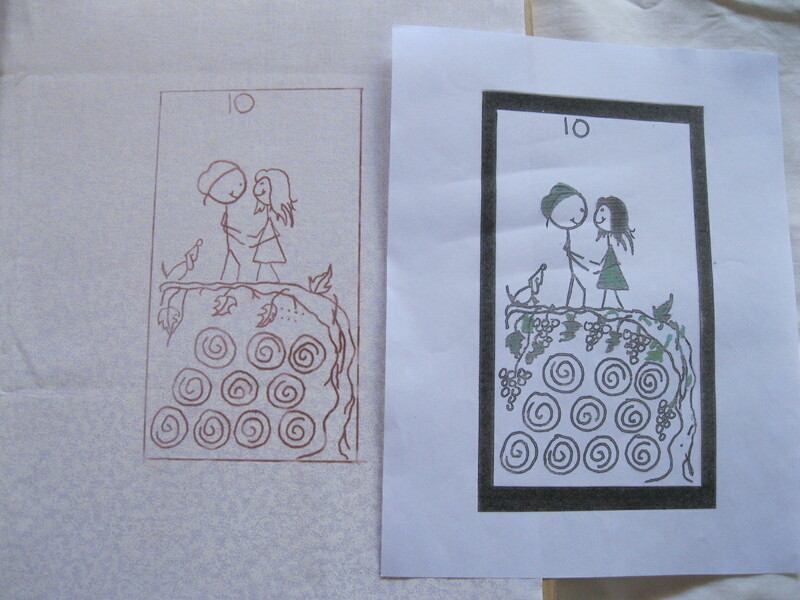 For this one, I even ENLARGED the original image to get the size that I want for the purse panel. 2. 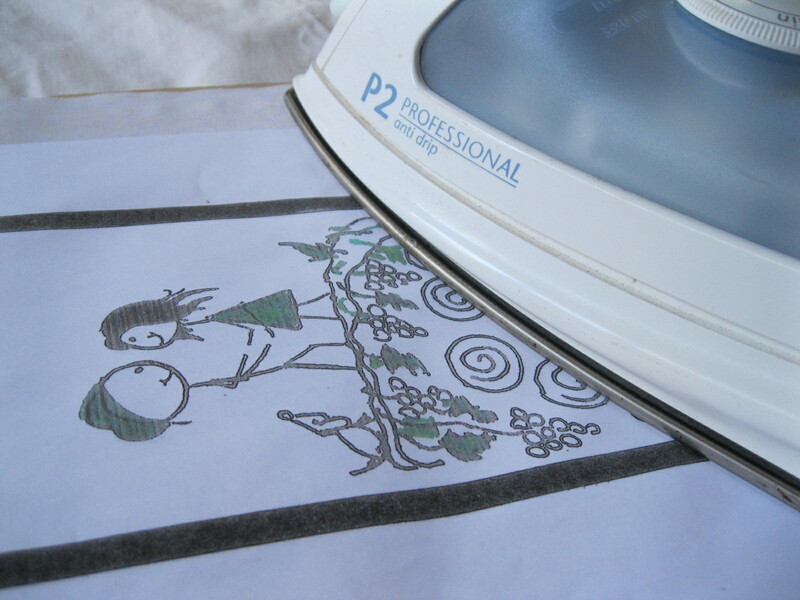 Get a hot iron transfer pen…and an iron. 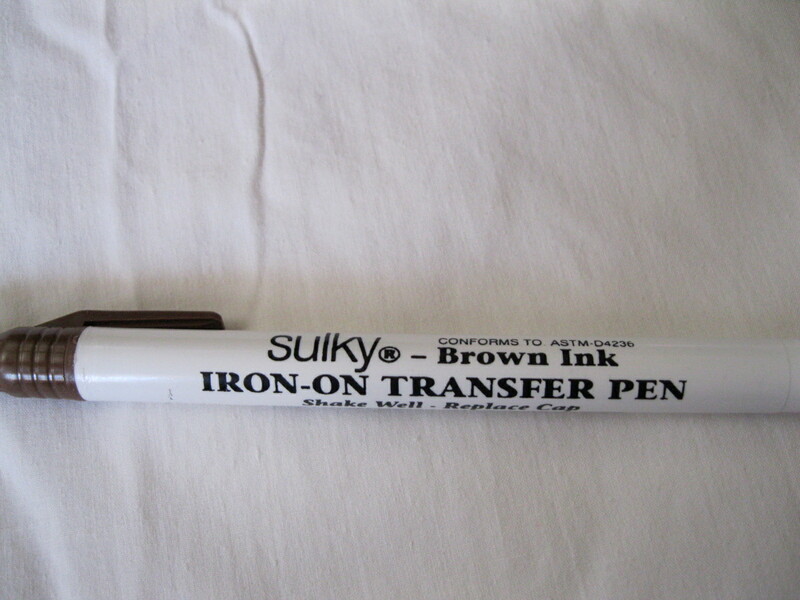 This is a brown Sulky hot iron transfer pen. I used to buy mine at Joggles.com, but they no longer carry them. If you know of a good place to buy this pen online, please share your source with me. 3. 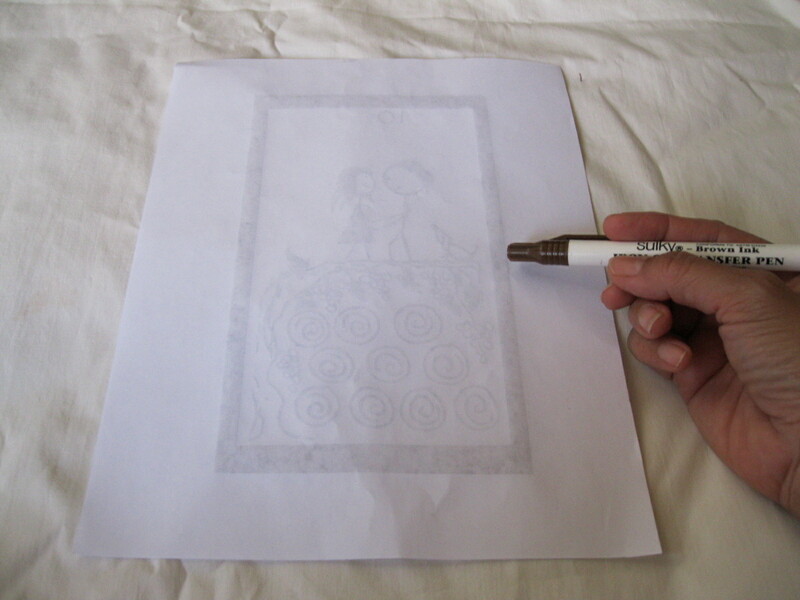 Trace your design on the reverse side with your hot iron transfer pen. 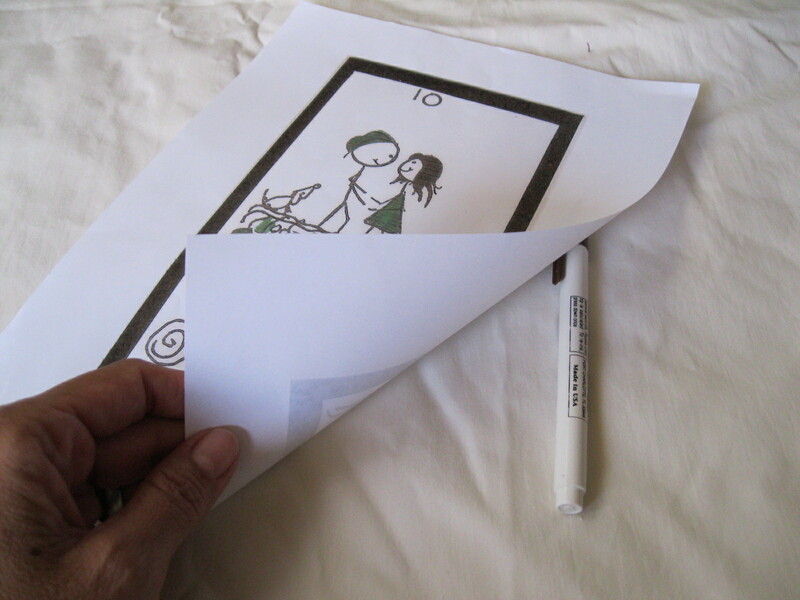 I flip the printed paper over and use my cutting mat as a solid surface since light can travel through the plastic. You can see here that the design is visible and easily traceable when I hold the mat and the reversed sheet up to the door. 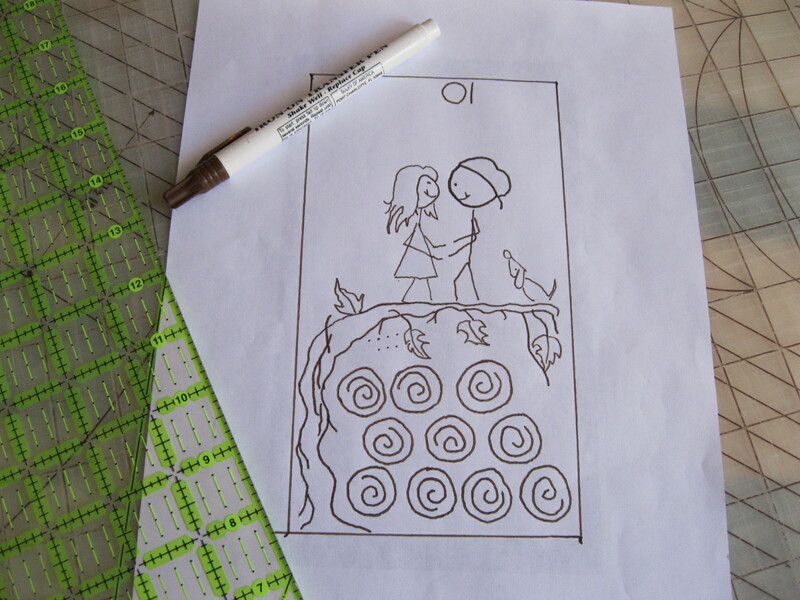 After you have the entire design traced out…go on to #4. 4. 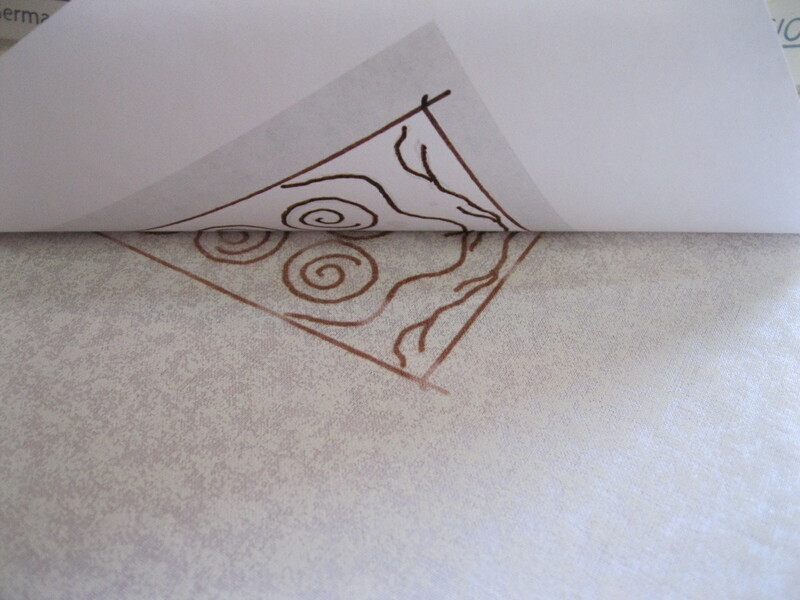 Place the pattern image, hot iron PEN SIDE DOWN onto your fabric. Just decide where you want it to be…and get ready! 6. Leave iron placed on the transfer. Peek under a corner to see if the transfer is done. 7. The transfer is done. 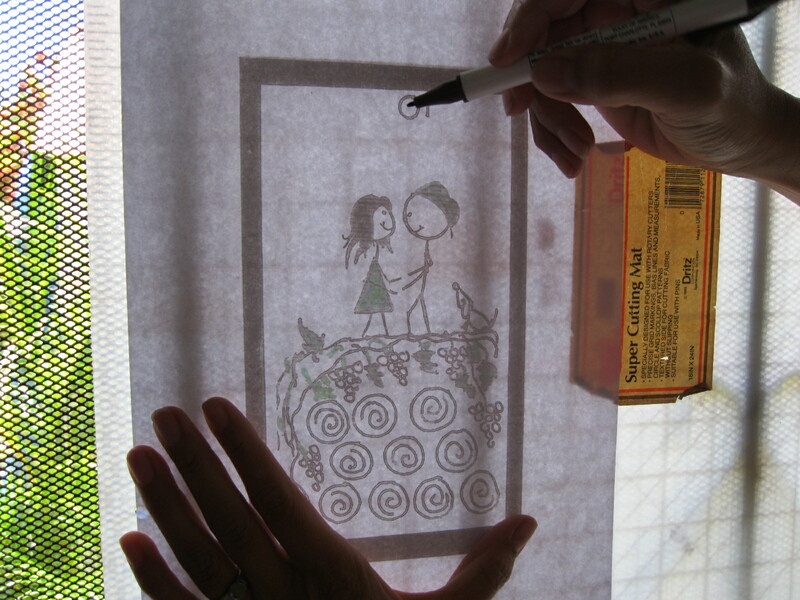 You’ve created a Hot Iron Transfer for embroidery…or for just about anything! 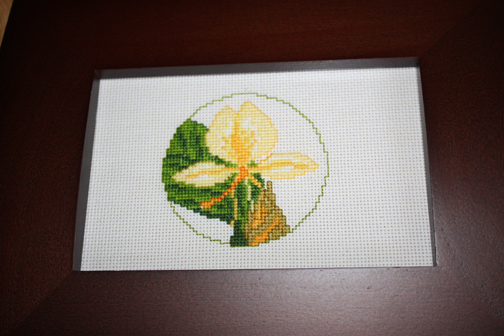 I stitched up a yellow ginger and bird of paradise on 18ct. aida and framed them in these dark, partly rounded wooden frames. They are all set to hang on their yellow wall! These were pretty easy to stitch up. I think the pattern is from a long since discontinued pattern…I found it in my mom’s stash. 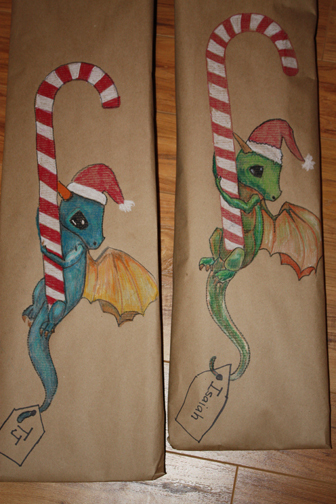 So, without further ado, I give to you…a small collection of our handmade wrapping paper! 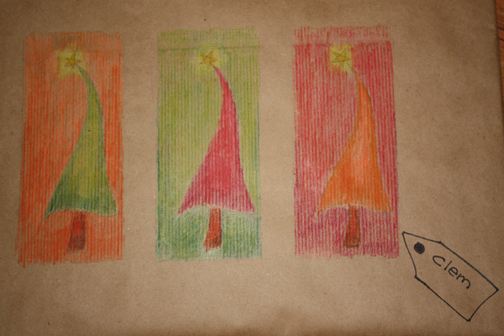 All done with crayon on kraft paper! In person, the black crystal is shiny and shimmery. It’s all stitched with filament added to black and other dark colors. The dragon is very intricately shaded. Bravo to Patricia Allison! This is a fantastic chart! I love every detail of it! To stitch up this Bad Boy, I’ve had to take to some creative aids. I’m colorblind and simply CANNOT tell where I’ve left off if I just use a simple pencil to scratch off the chart. I also HAD to enlarge this chart. There is NO WAY I can see the itty bitty marks for the zillion quarter stitches in this chart. NO WAY! I’ve employed the needle holder, all threaded, Mag Eyes…with a 7.0 magnifier…yes, it’s the one I use for micro mini stuff, a TON of different colored pencils, mega charts and two scissors…one I use as a ‘pointer’. I’ve found out a secret though…and I will be using every bit of it to tame the next page of this moster Summer pattern… I WILL WIN and tame the Summer Dragon! Muwahaha!!! Sparkly filament, dark threads…and great linen! My Birthday was April 7th. I decided to take the gift money given to me by my wonderful teacher friend, Joann, and spend it on this wonderful chart. 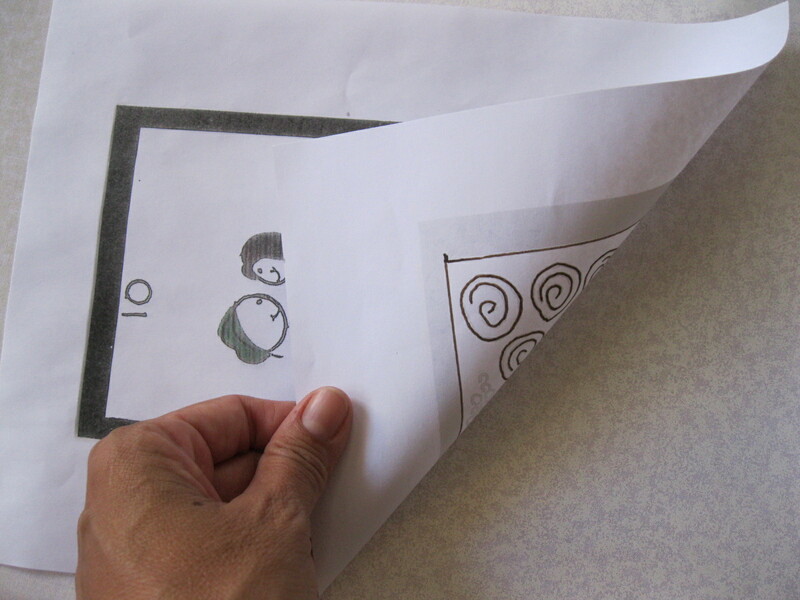 I ordered the chart online, on my birthday April 7, from Clare, Clare’s Celtic Cornucopia, http://www.celticstitchery.com/. Normally, I would purchase from my local store, but my store, as well as several online stores don’t seem to have the “Summer” dragon listed with their suppliers. 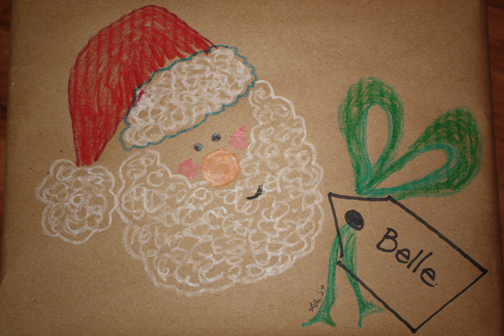 Clare has an easy to use site, great descriptions, a detailed shopping list/cart and an easy checkout. She also answers email quite quickly and is very helpful. I created my own thread board with some foam board, a magnet strip, and lots of loaded needles! Wonderful Hubby took me to Fiddlesticks, our Local Needlework Shop, for my birthday outing and he picked out a great linen for this piece. We opted against the grey the model was stitched on and went with the complement of red…GREEN. 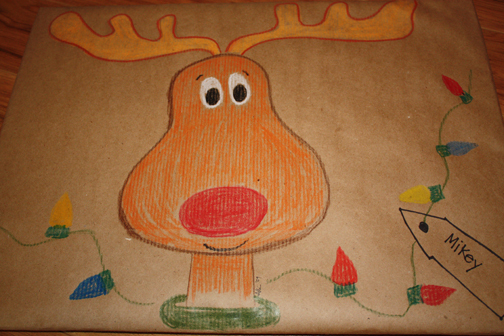 He loves getting art supplies, and even though we have zero money, he bought me some great supplies there with HIS birthday money…(his BD is March 22) Clare was so nice to send me the supply list via email so that I could shop for my birthday. I didn’t have to wait for the pattern to arrive in the mail! The pattern arrived Friday, April 10 in the late afternoon. 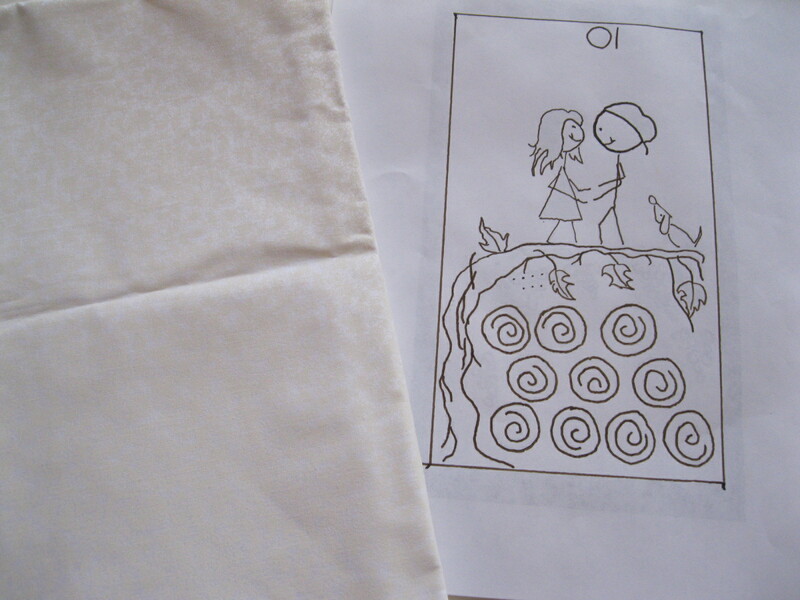 I got busy with marking off the linen…and getting to the chart. After ONE FULL DAY of stitching on Saturday, I got this first little stone dragon done in the edging. Whoo hoo!!!!! It’s stitched on 32ct. linen, over 2 threads. The holes seem very, very tiny. After stitching up the majority of the stone area, I decided that the thread was too bulky. (The pattern calls for 2 thread and 1 filament.) I’ve decided to reduce the stitching to 1 thread and 1 filament. Hopefully, the coverage will be satisfactory. Everything there that is stitched, aside from the greys, are blended with some type of shiny filament. 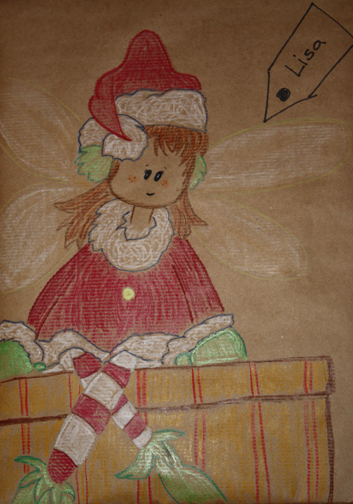 I can’t ‘capture’ the sparkle…but believe me, it’s there! 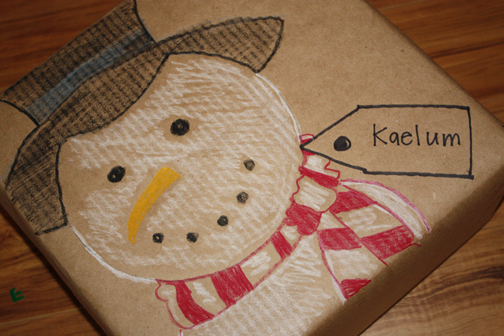 …did I mention that took me ONE FULL DAY to get done? Money well spent for LOTS of ENTERTAINMENT TIME! Each of these were lots of fun to stitch up. The colors are just…well…”fun”. There is something about them, that when viewed in person, make them almost mesmerizing. Here is the Mixer. Kit is Mill Hill, “Kitchen Collection”, Mix It Up. 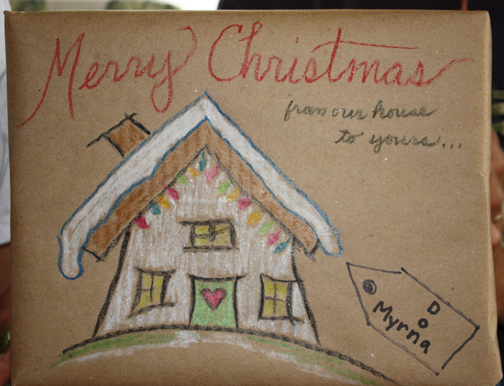 Design by Debbie Mumm. Here is the Cupcake. Kit is Mill Hill, “Kitchen Collection”, Lil’ Cupcake. 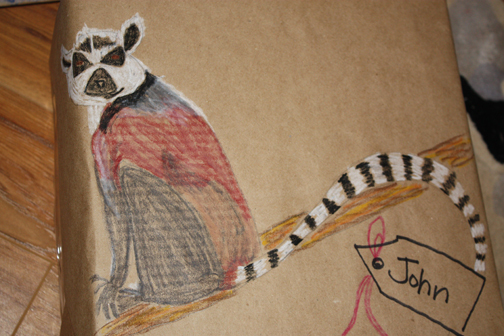 Design by Debbie Mumm. The one area that is not that much ‘fun’ to tackle on these projects is that little strip of red or green below the main picture. 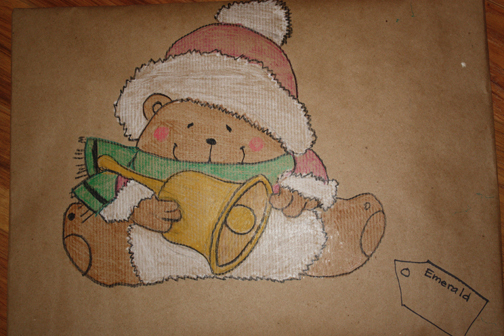 That can get rather tedious and it is very easy to make mistakes there since the greens and reds are scattered so. I started each of the projects there…at that boring band. I saved the fun stuff for last! I also stitched and beaded at the same time. Some folks like to complete all the stitching first then return to do all the beading. 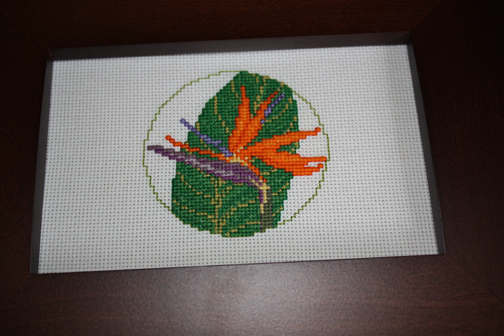 These projects are so small… I didn’t think it would hurt to bead while stitching along. I have the other kits in the Mill Hill Kitchen Collection and as soon as I finish up the Elephant I am stitching up, then I’ll continue with the rest. …no…maybe the Bowls…yikes! So many to choose from! Changing gears, yet again, here is my newest time interest. Mill Hill comes out with new bead kits every so often and once in a while I find something that catches my fancy.My local shop here, Fiddlesticks, ordered this one special just for me. I actually started off back into cross stitch with Mill Hill’s release of their “Kitchen Collection” (which will be my next post) and from those two pieces I stitched up, I moved onto doing just this little elephant. I just love the texture, colors and shimmer of the beads. 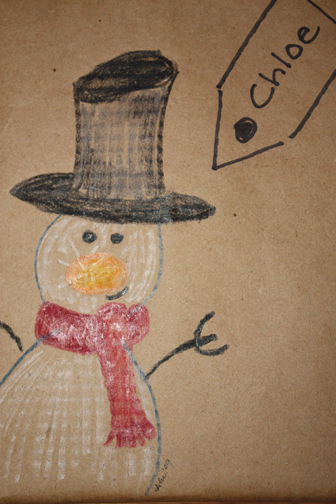 The complementary colors are done well in this piece and makes it just irresistible in my book! Had to get my artsy hands on this one. After picking it up yesterday at the shop, I’ve gotten this far today with it. These kits usually take me 2 days to complete…so lets hope that tomorrow or the next day will show us a full grown, stitched shiny blue elephant!